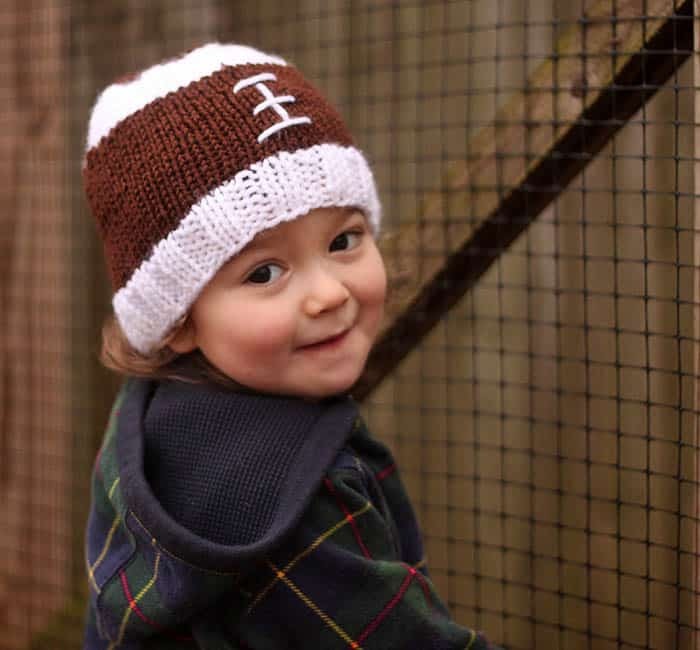 With the Super Bowl coming up I thought it would be cute to knit Indigo a Football Hat. I must admit, I don’t watch football but my family is obsessed. I knew they would get a kick out of seeing Indigo in his little football hat. 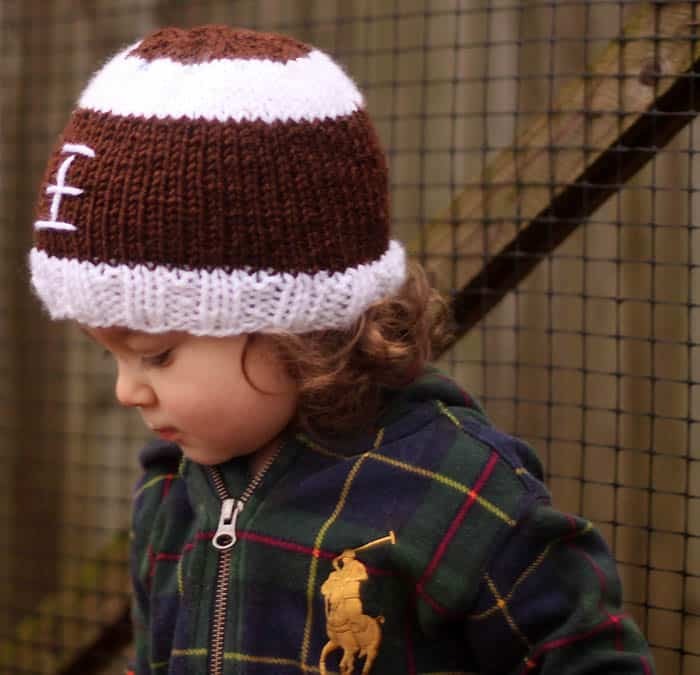 This Football Hat Knitting Pattern features a ribbed band and a stripe at the crown. The “laces” are sewn on after the hat is completed using a yarn needle. 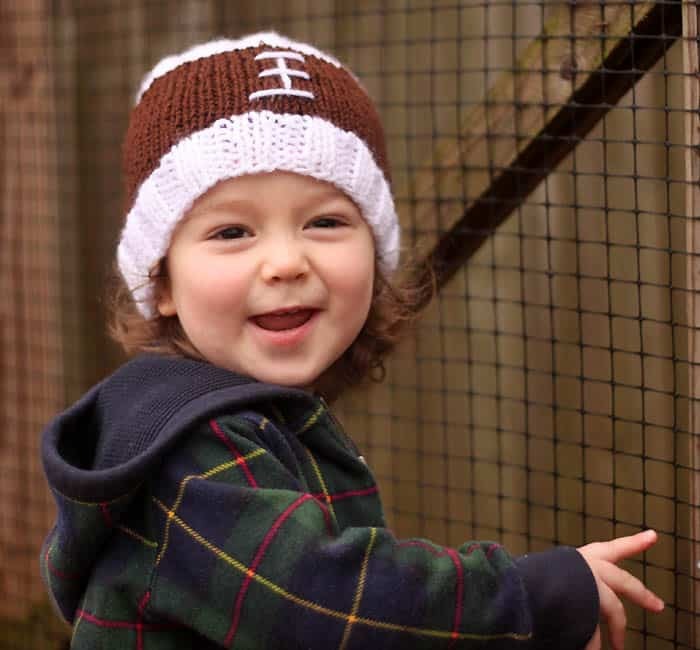 This hat is a quick knit and it’s the perfect thing to get your little one Super Bowl ready! With the white yarn, cast on 60 sts. Join together and place marker. Work in K2, P2 ribbing for 1 1/2 inches. Switch to brown yarn. Knit in the round until pieces measure 4 3/4 inches from the cast on edge. Round 2: K all stitches (54 stitches). Round 5: (K6, k2tog) repeat this around (42 stitches). Round 6: K all stitches (42 stitches). Round 7: (K5, k2tog) repeat this around (36 stitches). Round 8: K all stitches (36 stitches). Round 9: (K4, k2tog) repeat this around (30 stitches). Round 10: K all stitches (30 stitches). Round 11: (K3, k2tog) repeat this around (24 stitches). Round 12: K all stitches (24 stitches). Round 13: (K2, k2tog) repeat this around (18 stitches). Break yarn, pull through remaining stitches. Pull to tighten. Use a yarn needle to stitch the laces on after the hat is completed. Want more Free Baby Knitting Patterns? 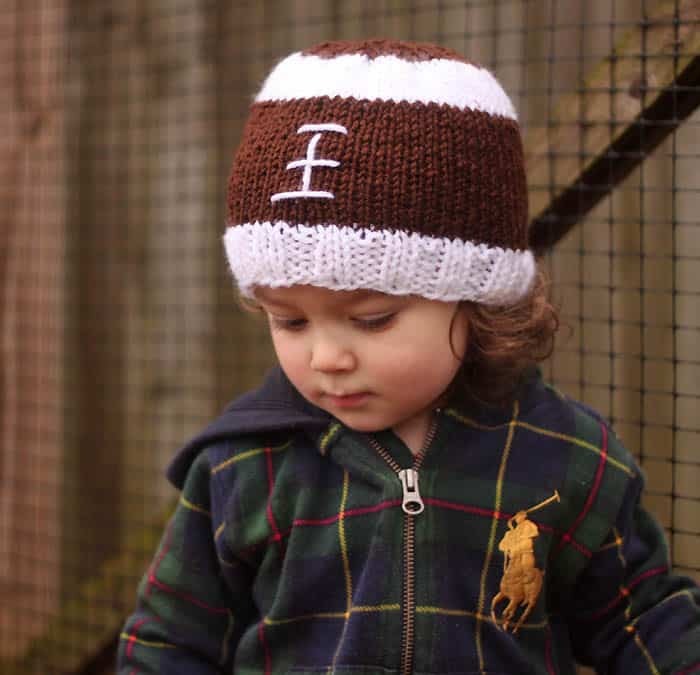 What yarn and needles are used for toddler’s football hat? 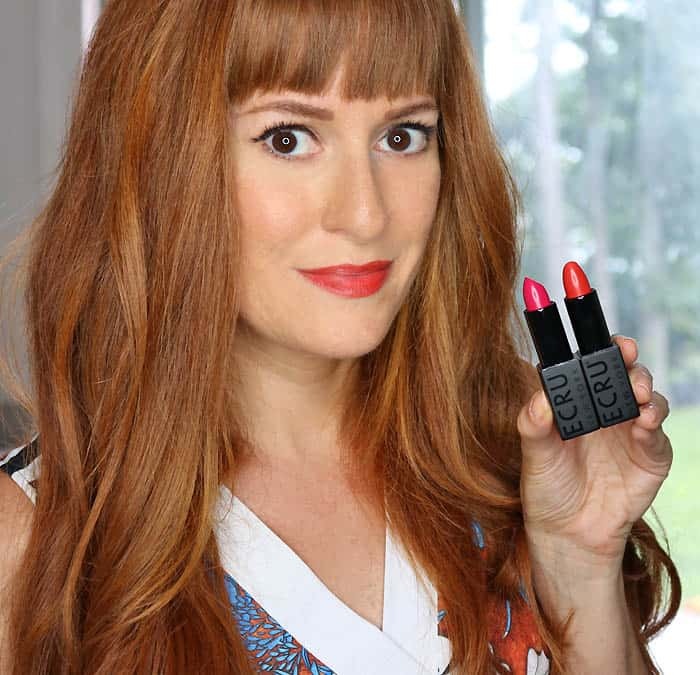 Sorry about that- the pattern has been updated with the correct info. Cloud Dough DIY- the Perfect way to Beat Winter Boredom!